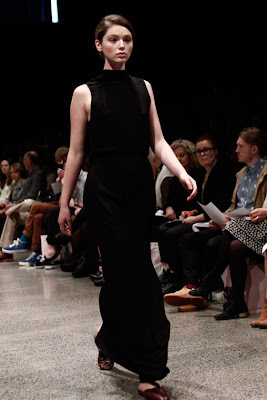 Liam & Ruby was the first show on the New Zealand Fashion Week Schedule for 2012 & it did not disappoint. 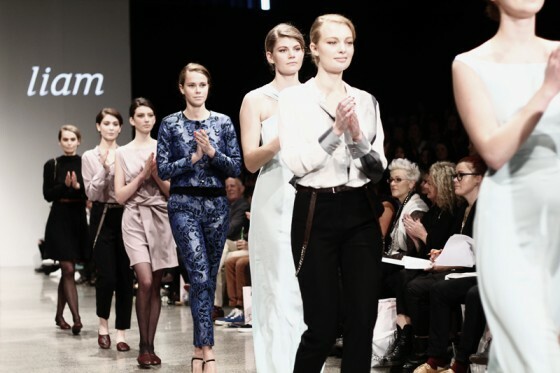 The runway beforehand was adorned with the most gorgeous floral display & front row guests were treated to flowers & Penguin Classics+a goodie bag to go home with. First up was Liam who's show was entitled A New Power. This collection was stunning, there was plenty of floaty silhouettes & a wide variety of colours, from pastels to fire engine reds. I loved a Taupe trench coat in particular but everyone was spoilt for choice with a range of pieces which will be perfect to mix & match during the seasons. Liam is definitely one to watch. Ruby's collection was named Mr Destiny. I fell in love with the metallic ballet flats in this collection & my favourite look had to be this pastel blue sweater & the red velvet shorts (see below). There was also a lot of what I call ballerina pink seen in dresses & coats so I wasn't disappointed. 1 & 2 by me. 3-5 from Katherine is Awesome.